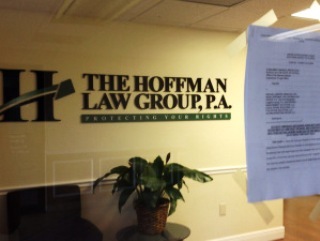 According to hundreds of pages of court documents unsealed today, the Hoffman Law Group, in conjunction with four other companies, ran a boiler room-style sales center that “preyed” on vulnerable homeowners throughout the country. Named in the action taken by the Consumer Financial Protection Bureau and the Florida Attorney General are Michael Harper, of North Palm Beach, Benn Willcox, of Jupiter, Marc H. Hoffman of Boca Raton, and the companies Nationwide Management Solutions, Legal Intake Solutions, File Intake Solutions, and BM Marketing Group. Find out who the real players were behind the Hoffman Law Group in today’s Palm Beach Post and how regulators have known about them for years. “Defendants do file the promised mass-joinder litigation on behalf of some clients,” the lawsuit says. “But beginning in March 2013, courts began dismissing claims and several all but the first-named plaintiffs. The eight-count indictment unsealed today seeks to permanently enjoin defendants from future violations of law, award restitution to victims, order disgorgement of ill-gotten revenues, and award civil money penalties against defendants. United States District Judge James I. Cohn appointed receiver Mark Bernet to take control of the defendants’ assets, interview employees and set up a system to communicate with clients. For more information about the court case and to get updates on proceedings go to www.bernet-receiver.com. In one case outlined in the lawsuit, a New Jersey mother of four paid the Hoffman Law Group $14,000 beginning in June 2012 for help saving her home. Hoffman took the money and filed a lawsuit that included her as a plaintiff, but the woman was never on the mortgage in question. It was in her husband’s name. 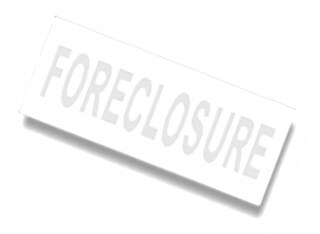 MARS regulates mortgage assistance services, and does not allow companies to collect upfront fees from consumers seeking loan modifications or other mortgage relief. Mass-joinder scams often tout that they have an attorney on staff to represent each homeowner, but, in truth, that attorney likely is not reviewing the facts of each homeowner’s claim, is not directly handling the litigation that may be filed, and often is not even licensed to practice in the homeowner’s state, according to a press release from Bondi’s office. Consumers ultimately receive little or no mortgage assistance and are often worse off after signing up.